University of Georgia Press, 9780820353203, 176pp. 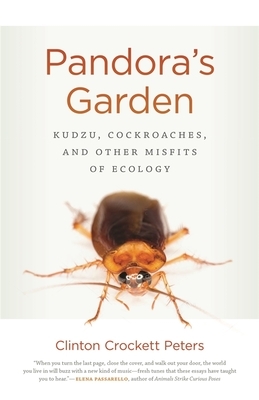 Pandora's Garden profiles invasive or unwanted species in the natural world and examines how our treatment of these creatures sometimes parallels in surprising ways how we treat each other. Part essay, part nature writing, part narrative nonfiction, the chapters in Pandora's Garden are like the biospheres of the globe; as the successive chapters unfold, they blend together like ecotones, creating a microcosm of the world in which we sustain nonhuman lives but also contain them. There are many reasons particular flora and fauna may be unwanted, from the physical to the psychological. Sometimes they may possess inherent qualities that when revealed help us to interrogate human perception and our relationship to an unwanted other. Pandora's Garden is primarily about creatures that humans don't get along with, such as rattlesnakes and sharks, but the chapters also take on a range of other subjects, including stolen children in Australia, the treatment of illegal immigrants in Texas, and the disgust function of the human limbic system. Peters interweaves these diverse subjects into a whole that mirrors the evolving and interrelated world whose surprises and oddities he delights in revealing. Clinton Crockett Peters has been awarded literary prizes from Shenandoah, North American Review, Crab Orchard Review, Columbia Journal, and the Society for Professional Journalists. His writing has appeared in Orion, Southern Review, Hotel Amerika, The Rumpus, and many other venues. He lives in Carrollton, Texas.